Through talent, vision, determination, passion and sheer tenacity, Yassine Ouhilal has become one of the most sought after photographers in the active lifestyle world. 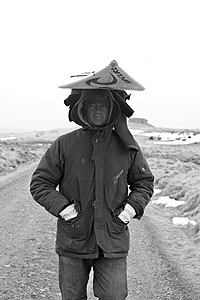 He specializes in pioneering and documenting new and unchartered surf destinations. For the past ten years he has photographed dozens of locations around the globe, including several in Arctic regions. Yassine's unique style superimposes unlikely scenarios with otherworldly settings. From swimming in the Arctic Ocean to capture a surfer in action with a snowcapped background to driving 4000 miles across the Sahara desert in search of unspoiled waves, he will stop at nothing to create images that set themselves apart. The reason? He loves what he does. Yassine's relationship with photography began as a child after receiving his first camera. He continued shooting through adolescence. His subject matter metamorphosed as quickly as his ever growing tastes, from lightning bolts and Astrophotography to fashion. At 16, Yassine moved to Hawaii to attend University and fell in love with surfing. He honed his photography skills further through the Film Production program at Concordia University in Montreal where he directed award winning documentary films. He then decided to combine both of his life's passions: photography and surfing and embarked on the road to surf photography. Instead of visiting the world's surfing hotbeds, Yassine has applied his knowledge of geology and geography along with an unrivaled spirit of adventure to pursue colder, hostile and remote locations that have rarely, if ever, been surfed. This combination of skills along with his visual talents have produced innovative and captivating images that have been appreciated the world over. 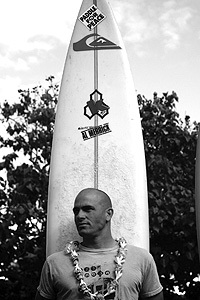 In 2007, according to Transworld Business Magazine, Yassine was one of the five most published surf photographers in the world. Today, Yassine continues to work on several upcoming editorial, film and book projects. When he is not on assignment, he enjoys riding waves and researching the next destination on his list of conquests.